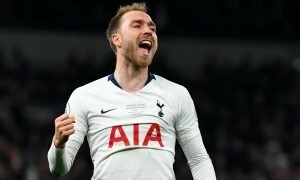 'Would be like Christmas' – Nearly every Tottenham would be ecstatic if this rumour came off | The Transfer Tavern | News, breakdown and analysis on all things football! 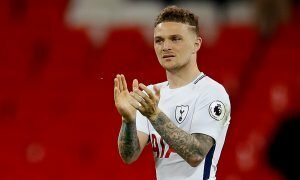 The Tottenham fans in the Transfer Tavern have been scouring Twitter for transfer rumours this summer as they hope to make some signings and ship out some deadwood. On the deadwood front, this rumour from SabahSpor1 will be one that our local Lilywhites will hope is more than just a rumour as Fenerbahce could be coming in for both Moussa Sissoko and Georges-Kevin N’Koudou. [@SabahSpor1] understands Fenerbahçe have now identified Moussa Sissoko as a potential transfer target this summer. As far as transfer news goes, this would be up there alongside a new signing as far as Spurs fans are concerned. The supporters still can’t believe that they shelled out £30 million for Sissoko back in summer 2016 and the fact that he’s still a Tottenham player two years later is frustrating for all associated with the club. N’Koudou, on the other hand, has never been given a chance in North London after being signed from Marseille in the same window as Sissoko. 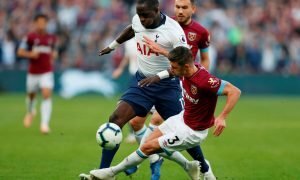 If the French duo were shipped off to Turkey, the Lilywhites in the Tavern would be delighted as not only would free up transfer funds and wages, but it would mean the club would have to move to replace the pair and considering the quality of the players that Spurs have been linked to this summer, it could only be good news if the club took up Fenerbahce on their offer to let the duo leave the club in the coming weeks. Take both , pleeeeeease take both. $10, a chomp, and a packet of Skips and he's yours. As you can see, the Spurs fans propping our bar up would be delighted to see this double deal go through and would not miss either Sissoko or N’Kourdou too much.